Email Inbox - How to Organize It? 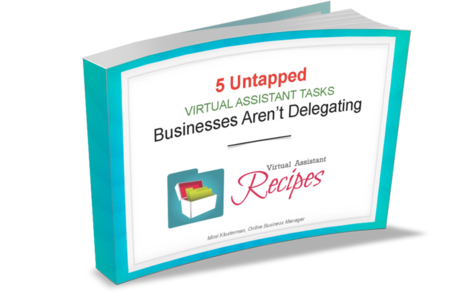 A disorganized, overflowing email inbox can be a daunting obstacle to overcome. Spam and junk email quickly adds up to a constant stream of distracting correspondence. This clutter can make you less productive, especially if email is a major part of your job. Not only that – important messages can end up getting lost among all of the others. Here are a few suggestions for clearing out your inbox and for keeping all of your important email organized. It ís much easier to delete a junk message in your email inbox than it is to unsubscribe from recurring correspondence. But, does this save you time in the long run? It may take a minute or two, but look into removing yourself from the mailing lists of sites that frequently send unwanted messages. This will keep junk messages from showing up in your inbox to begin with and save you the trouble of getting rid of them. Many email services allow you to create folders within your email inbox. By sorting messages into different groups or categories, you can easily find the messages you need when you need them. Don’t be afraid of making too many folders. If you use email for work, several folders based on subject will be more helpful than a single work folder. Some mail services can automatically sort messages into different folders based on things like who they are from. While folders are an effective tool for keeping your incoming messages organized, they are less helpful in the case of messages that fit into several categories. By applying tags to messages, you can mark them so that they can be sorted later. Multiple tags can be applied to a single message, which allows them to be sorted differently depending on the situation. Some email services allow you to set up filters which tell your mail service to treat certain messages a certain way. For example, if a particularly difficult junk mailer won’t remove you from their mailing list, you can set up a filter that automatically removes all mail from that sender to the trash. Filters are also useful for keeping your folders organized, by automatically sending messages containing certain words or phrases to a specific folder. Your email has a handy search engine tool that you can use to quickly find email in your inbox. The search tool allows you to easily find emails from a specific person or company, messages sent to a specific email address, or emails containing certain words. This is especially useful if you need to reference an old email that has been lost in your inbox. 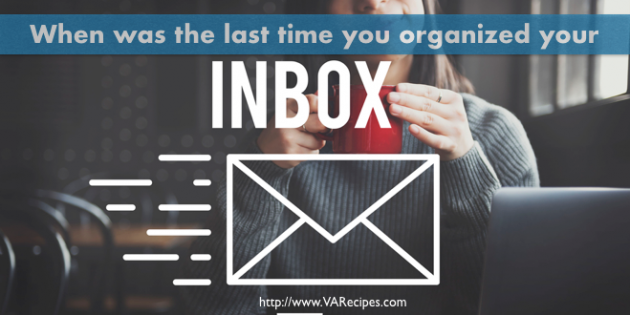 No matter what tools you use to clean up your inbox, it is important to keep things organized to avoid another mess from forming. If you set up filters, many of your messages will be organized automatically. Make sure to update your filing system as needed and apply new filters to messages that show up in your inbox. Try to deal with incoming mail as soon as you receive it, rather than waiting for it to build up. Cleaning up your email inbox will save you time, both at work and at home. Most email services offer tools like the ones described that you can use to do much of the work for you. Setting these tools up may take some time, but the time and effort an organized inbox will save you are worth it.